Site administrators. By default there is only 1 administrator. This section is mostly used for managing administrator profile data, rather than for creating new moderators as all new administrators will have same permissions as you have. 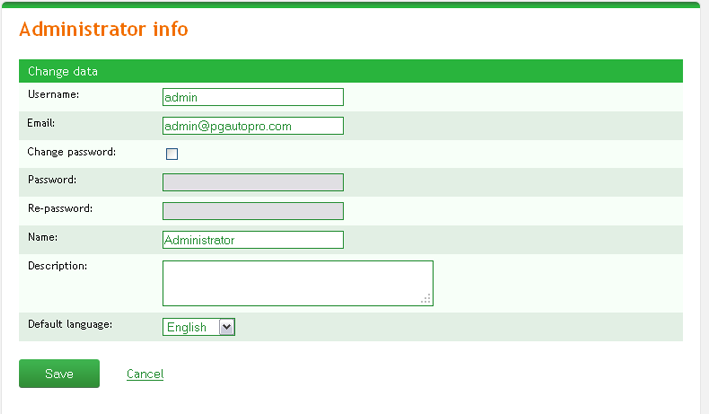 You can edit your name, nick, email, password and change administration panel langauge interface here if necessary.